Current HR Operating Models are not fit for the future. The implementation of the Ulrich model in the 1990s was driven by changes in technology, the need to demonstrate value for money, development of the HR Services landscape and a focus on more HR Strategy. Ulrich’s research was built on trends which were transforming the IT and Finance sector at the time; including shared services, outsourcing, manager self-service, and ERP technology enablement. 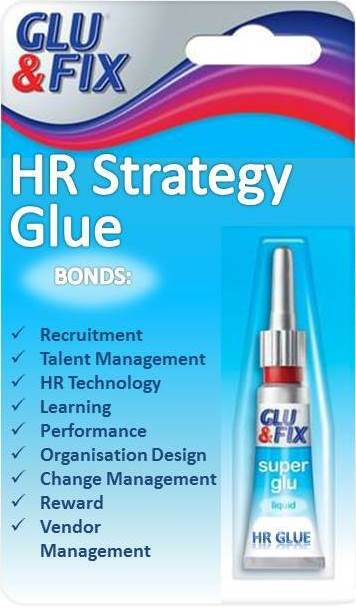 The ultimate goal was to spend a higher proportion of HR resources on delivering HR Strategy, and less on HR administration. The Ulrich model delivered some benefits, but patchy implementation gave mixed results. So after all the effort, the question remains – why is HR no more strategic now than in 1995? The HR Business Partner (BP) role was introduced as a strategic partner and account manager for HR Services, however there have been challenges with the timing of the introduction of the role. Launching BPs before HR Shared Service Centres have started leaves them with an impossible task of balancing transactional workload with the strategic expectations of customers. In my experience of training BPs, I observed the ‘rule of thirds’ in larger organisations; a third are excellent, a third would be excellent with time and development, and a third will never be ‘strategic’ BPs. The Business Partner is stuck between a rock and a hard place in a mismatch of expectations. In my view the great promise of HR ERP Technology has not delivered. Most organisations do not have one interconnected system for HR records, recruitment, learning, payroll, compensation management, succession planning tools and performance management. Many multi-million dollar transformation initiatives based on HR Technology, have not delivered their goals, been late or over budget damaging the credibility of HR to transform organisations. HR has built a set of specialist functions that work well in silos, for example in Talent, Learning, Reward, Recruitment, Employee Relations, but don’t often work together as a whole to deliver HR Strategy. There is evidence that we are not spending a higher proportion of our time on delivering HR Strategy as we did in the 1990s, from research carried out by Professor Edward Lawler of the University of Southern California. We have not made progress in improving the productivity of managers through enabling self-service tools. According to Towers Watson, 56% of organisations now require HR to approve transactions, which was certainly not the original vision of the Ulrich model. The Ulrich model was developed from external drivers relevant in the 1990s but we now have a different set of drivers in place, and should re-evaluate our current structures. Now is a good time to review our HR Operating Model, with over 50% of organisations with more than 5,000 employees in the process of re-organising their HR department from bringing in a new leadership team to redesigning HR services from the bottom-up. Technological innovation has provided big changes in the workforce. It has also provided more opportunities to deliver better HR Services to a mobile, and more global workforce. McKinsey estimate that the automation of knowledge work will have an economic impact of $5-7 trillion dollars, displacing workers with technology. Workforce changes mean we have high youth unemployment in some areas, a jobless recovery, an ageing workforce that will need to work into its 60s and 70s and localised skill shortages, for example in science and engineering. The demand for Talent is constant. So where do we locate our businesses in an economy with high unemployment? Do we need a core set of employees on permanent contracts and flexible contractors who provide the right skills at the right time? Which employee services can we deliver through mobile devices? HR is becoming increasingly fragmented and hived off into HR Services and specialist advice. There is a growing need for more HR Strategy, yet there is less capability to deliver it. There is a demand for support to transform organisations, yet HR has struggled with change management, technology deployment and Organisation Design required to transform itself. The HR Services market is moving every quarter with new entrants, mergers and acquisitions. New skills are required in analytics, influencing behaviour change, vendor management, and for HR to be workforce technology 'evangelists'. So what can we do? We can learn from the experiences of implementing the Ulrich model, but challenge parts of the model that are no longer applicable. By focusing on the journey and not the end destination, you can move towards a HR model that will provide the 'HR Strategy Glue' enabling you to adapt and respond to future drivers of change. Join in the discussion on HR Transformer Blog or at the Tucana HR Change & Transformation Conference where Andy Spence is delivering his keynote speech on Future Trends in HR Operating Models. This entry was posted on Monday, September 9th, 2013 at 1:41 pm	and is filed under Aging Workforce, Change Management, Future of Work, HR Business Partner, HR Careers, HR News, HR Operating Models, HR Project Management, HR Shared Services, HR Strategy, HR Technology, HR Transformation, Tucana. You can follow any responses to this entry through the RSS 2.0 feed. You can trackback from your own site. Ha, love this article and especially the "glue" analogy (and image). In large part, I agree, particularly with the Business Partner role. Many organisations have naively established HRBP roles and thought that that was all that was required to become a partner to the business. Guess what? The thing about partnership is, you both need to want the relationship. I think your three point step is appropriate too – but I'd add part 2b – Challenge current and future skills your business has and will need in the future – and pro-actively help them with the transition. HR was known as a function in an organization and the HR professionals are mostly administrators, so the HRBP role was created to fill the strategy gaps. In today’s dynamic world we have tools to perform functions, so the HR professionals need to step up into strategic roles and perform functions they were unable to do before, because they were caught in doing the admin functions most of the time instead of contributing in the organizations success by developing culture, seeking out modern tools to increase employees productivity, integrating different organizations within a company into a cohesive operating machine, and finding and managing talent to beat their competition. More than ever there is a need to manage the handoff from one generation of workers to another with proper succession planning and cultural changes, and this alone is not going to be easy. I also think that there is a need to educate and train the HR professionals as a strategic business operatives and I don't know how much technology can help in this transformation?